Eating beef provides essential nutrients to your body which only grass-fed beef can provide. It’s important to distinguish organic from inorganic beef. 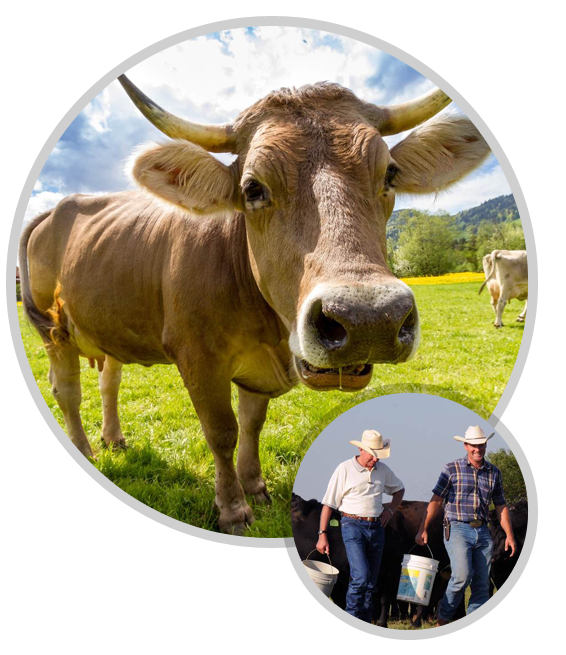 Organic beef is healthy and free of artificial feed. 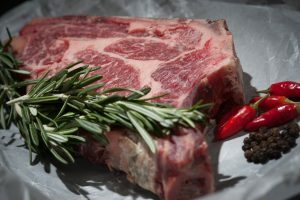 Making the choice of grass-fed beef compared to grain fed beef is worth the investment for your health in the long run. Beef is a great source of protein. It is known as a complete protein, one that contains all 8 essential amino acids that are needed for the development of muscle and maintenance of our body. Proteins are also used by our body to make enzymes, hormones, and other body chemicals. It’s an important building block of bones, muscles, cartilage, skin, and blood. Beef contains fat, also called beef tallow. It increases the calorie content of meat while it adds flavor to it. 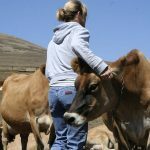 The amount of fat depends on different factors such as the cattle’s age, breed, and feeds. A Grain-fed cow contains a higher level of fat, that means more calories that can lead to weight gain. A grass-fed cattle, on the other hand, is lower in total fat. Although it has a lower amount of fat, it has a high-level of omega-3 fatty acids, or the good fat, which can reduce the risks of heart disease. Beef is also reached of Iron, Niacin, Phosphorus, Selenium, Vitamin B6, Vitamin B12, and Zinc. 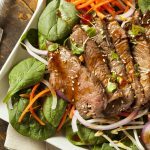 Regular and overconsumption of beef may increase your likelihood to develop type 2 diabetes, according to Harvard School of Public Health. 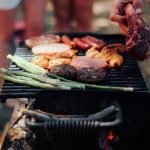 According to the World Health Organization (WHO), beef is probably carcinogenic because they are linked to the increased risk of pancreatic and prostate cancers. Because some sources of beef have a high level of fat, regular consumption of it can lead to visceral and regular body fat. This is good on the rare occasions for people who want to increase their weight, but for most people gaining extra body fat is not good for you. The work of the kidney is to filter the waste products when our bodies digest protein. Consuming too much protein can damage our kidneys. While we’re big beef eaters, however, we don’t condone eating beef all the time. mix it up with poultry and vegetables for a healthy diet. with other foods. It’s always a must to detoxify at least once a week to cleanse yourself from toxins that can lead to serious diseases. So here’s a list of detox juices to help you detoxify. We recommend the following detoxifiers to do so every month or two. I do one of the below cleansers twice a month with other foods. If you don’t like to do these detoxifiers, then make sure you do them at least 4 times a year to cleanse yourself from toxins that can lead to serious diseases. So here’s a list of simple detox juices to help you detoxify. These are organic juices that are bottled using a high pressure and with a no heat procedure so the freshness of the juice will extend up to 13 days when chilled. These are juices that are bottled using a hydraulic press. It’s a machine that squeezes the entire fruit/vegetable into a pulp. These are juices that are frozen to preserve the nutrients and antioxidants of the fruit/vegetable. 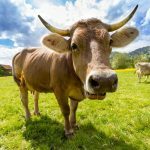 What’s Good About Grass-Fed Beef? 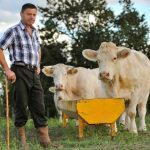 The traditional way of feeding beef cattle with grass has now become rare, for quick growth and bulky meat, cows are now commonly fed on a grain diet. What we feed cows with is what we eat later on in the form of beef. 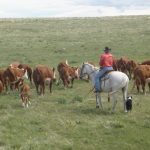 The market demands beef that is succulent and meaty and to abide by the demand the modern pastures provide the cows with a diet that artificially amplitude their size. Cattle barns are too small and hold more animals then they are supposed to. 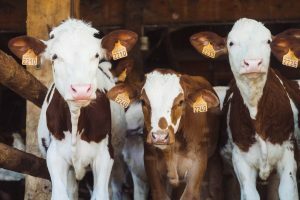 When this happens the cows are prone to catch an infection and so as a precautionary measure, they are injected with antibiotics and steroids. The cows are then taken for slaughtering and during transportation, the cows are treated carelessly which causes injury. All of this can make beef eaters want to turn to being vegetarian and so the rare but traditional grass-fed beef is better for the health. The grass fed cows are kept in a natural environment where they graze on fresh grass and wander more freely. The natural pasture of fresh green grass makes the beef organic and full of essential nutrients like vitamin A, C and E, antioxidants and Omega 3. The beef from the natural pasture to your plate in form of steak or the juicy patty in your burger will be healthier, tender and tastier compared to the grain fed beef. Grass fed beef has more health benefits and overall is more beneficial for the heart. This is because it has less harmful total fat and has more heart-healthy omega 3 fatty acids. Organic beef is overall healthy while genetically modified beef harms the functions of your heart. The grass fed beef has more ‘conjugated linoleic acid’ – the fat that reduces the risk of cancer and heart failure. The grass fed beef in the market does cost more than grain fed beef and the reason is worth the investment you do on your health. The cost and beef production time cycle of the traditional pasture for a cow that is fit for slaughter in its own time is higher than the conventional pasture. When buying your meat, it’s better to make the purchase at the farmers market rather than outlets that don’t provide assurance of organic beef with convenience. The cost and inconvenience it causes you to buy beef that is fully organic are totally worth the health benefits.